Vanderkaay and his family are supporters and volunteers for the YMCA's Detroit SWIMS initiative with a goal to teach every child in the City of Detroit to swim by the fifth grade. Vanderkaay threw out the ceremonial first pitch at a Detroit Tigers baseball game on September 4, 2012. Peter Vanderkaay is a two-time Michigan high school state champion in the 500-yard freestyle (2001, 2002), and is the 2001 state champion in the 200-yard freestyle. He graduated in the class of 2002, and swam for the Michigan Wolverines swimming and diving team at the University of Michigan in Ann Arbor, Michigan. 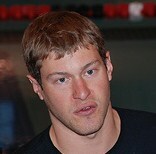 Vanderkaay holds a total of six NCAA titles and 14 Big Ten Conference titles. He also won a silver and two bronze medals representing the US at the 2003 World University Games. In his first year in college, he was Big Ten Champion in the 500-yard freestyle and the 800-yard freestyle relay. He also was NCAA All-American in the 500 and the mile. By the end of his second year, he won four more Big Ten titles in the 400-yard IM, 500-yard freestyle, 1,650 freestyle and 800-yard freestyle relay. In short course metric distances, Vanderkaay also was the NCAA champion in the 400-meter free, the 1,500-meter free and the 800-meter free relay, and placed fifth in the 200-meter free. In his junior year, Vanderkaay repeated his four Big Ten victories, and was named Big Ten Swimmer of the Year. He was named All-American in the 200-yard freestyle, 500-yard freestyle, 1,650-yard freestyle, 800-yard freestyle relay, 400-yard medley relay. In his senior year at Michigan, he was the senior co-captain for the Michigan Wolverines. He won four more Big Ten titles, 200-yard freestyle, 500-yard freestyle, 1,650-yard freestyle and 800-yard freestyle relay, and one final NCAA title in the 500. Vanderkaay also placed second in both the 200-yard and 1,650-yard freestyle events at the NCAA national championships. At the 2004 Summer Olympics, Vanderkaay was a member of the 4×200-meter freestyle relay team, along with Michael Phelps, Ryan Lochte, and Klete Keller, that beat the favored Australian team of Ian Thorpe, Grant Hackett, Michael Klim, and Nicholas Sprenger. In the summer of 2007, Vanderkaay posted a career performance at U.S. Nationals, beating Michael Phelps for first place in the 400-meter freestyle. Vanderkaay also teamed up with Phelps, Davis Tarwater, Scott Spann, and Chris DeJong to win two more golds, one in the 4×100-meter freestyle relay and another in the 4×100-meter medley relay. On December 20, 2010, Vanderkaay announced that he would be leaving Ann Arbor and Club Wolverine, where he had trained for over eight years, to move to Gainesville, Florida and train with the Gator Swim Club. The Gator Swim Club is affiliated with the University of Florida and is coached by Gregg Troy, the head coach of the 2012 U.S. Olympic men's team, and is home to several elite swimmers including Ryan Lochte, Conor Dwyer and Elizabeth Beisel. At the 2012 United States Olympic Trials in Omaha, Nebraska, the qualifying event for the U.S. Olympic team, Vanderkaay won the 400-meter freestyle event with a time of 3:47.67, thus qualifying to represent the United States in the event at the 2012 Olympics. He also competed in the 1,500-meter freestyle, but placed fourth. At the 2012 Summer Olympics in London, Vanderkaay won a bronze medal in the 400-meter freestyle with a time of 3:44.69, finishing third behind Sun Yang and Park Tae-Hwan. ↑ "Peter Vanderkaay bio". swimming.about.com. ↑ Evans, Hilary; Gjerde, Arild; Heijmans, Jeroen; Mallon, Bill. "Peter Vanderkaay". Olympics at Sports-Reference.com. Sports Reference LLC . Retrieved July 1, 2012. ↑ "Band of Brothers (6/26/2008)". usaswimming.org. ↑ "Men, 4×200m Freestyle, Final, 29 Jul 2005 – 19:37". swimrankings.net. ↑ "Men, 4 × 200m Freestyle, Final, Saturday, March 31, 2007". washingtonpost.com. ↑ "Men's 4 × 200 m Freestyle Relay – Final". NBC. August 13, 2008.